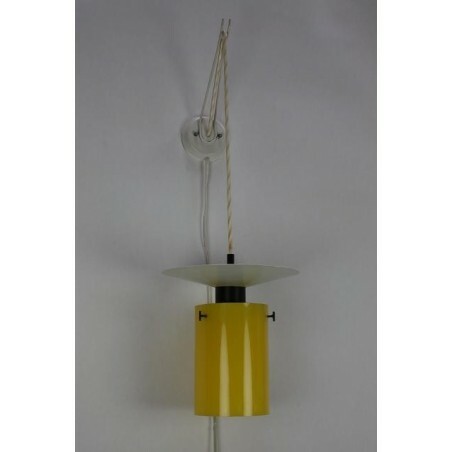 Nicely designed wall lamp design from the sixties. 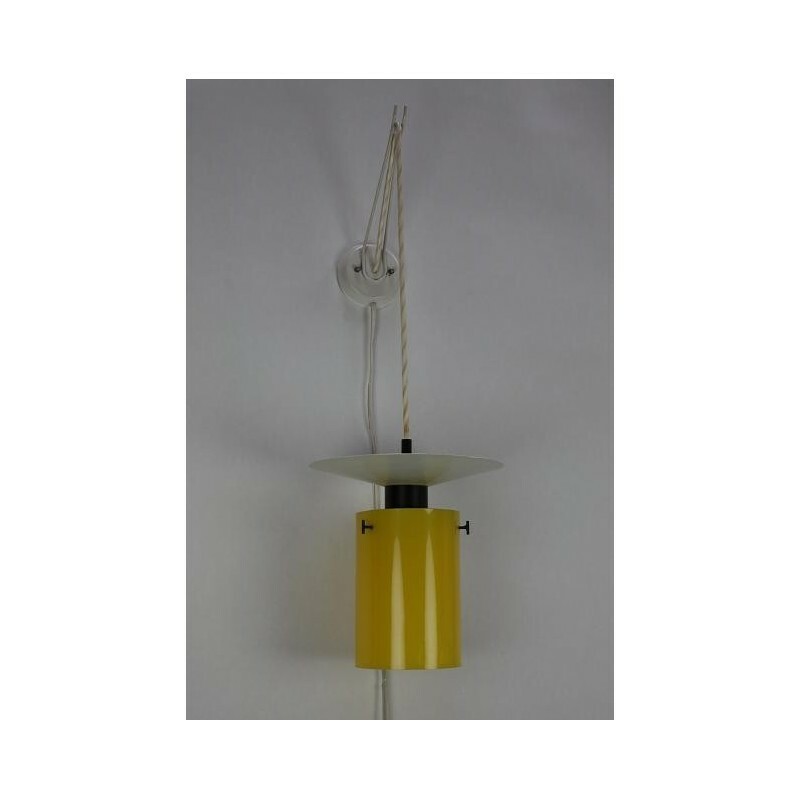 The wall lamp is probably a design by Hans Agne Jacobsen. The lamp is made of metal and plastic. The condition is good, but there are on the white top paint splashes visible. The size is 22.5 cm diameter of the white and 11.5 cm from the yellow part.